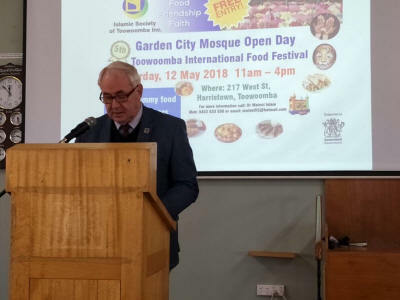 The Islamic Society of Toowoomba celebrated Open Day of the Garden City Mosque and the 5th Annual Toowoomba International Food Festival on Saturday, 12 May 2018 at the Mosque premises. 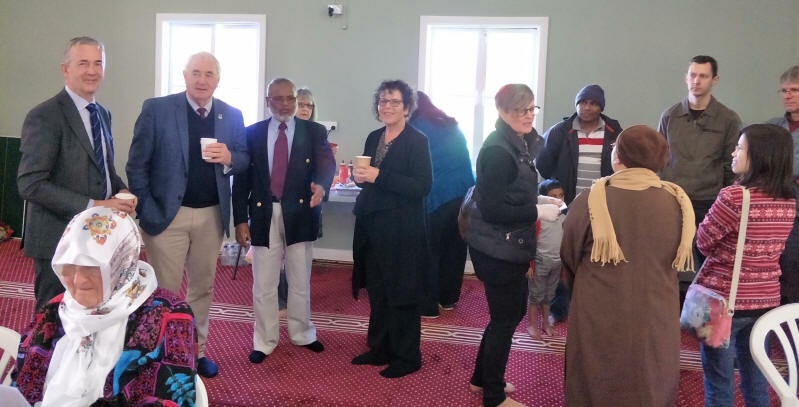 In spite of very cold and windy morning lots of people turned up to share food, faith, fun and friendship with the Mosque community. 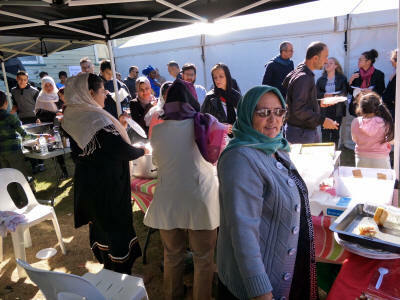 Although the function was planned from 11am to 4pm lots volunteers and people providing food and other services came much earlier to set up their stalls and welcome the visitors. The formal proceedings of speeches and questions and answers were held from 11:30am to 1:00pm. Riman Alammar, a student of Garden City Mosque Madrasa was the master of the ceremony. All speakers spoke highly of the leadership of the city for working hard to maintain peace and harmony in our diverse community by supporting each other, especially at difficult times. After the recitation of the Holy Qur�an, President of the Society, Professor Shahjahan Khan welcomed all the guests, speakers and visitors. He was the Founding President of the Society when it was formed in 1994 and it took 20 years to set up the first Mosque in Toowoomba. Muslims lived in Toowoomba since 1881 and it took over 135 years to build the first Mosque in the city. 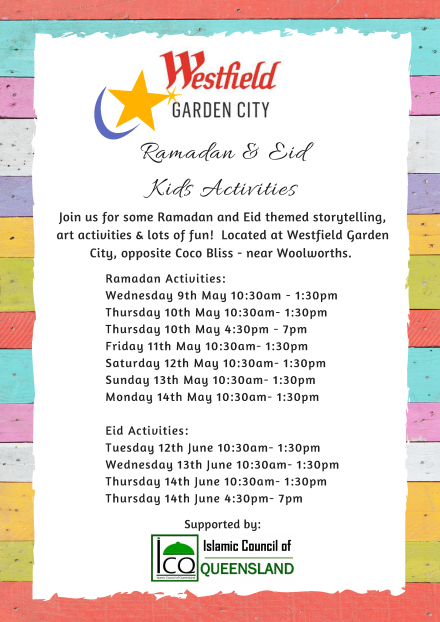 He reiterated the fact that the Garden City Mosque is open to everyone, not just for the Muslims � anyone is welcome here. 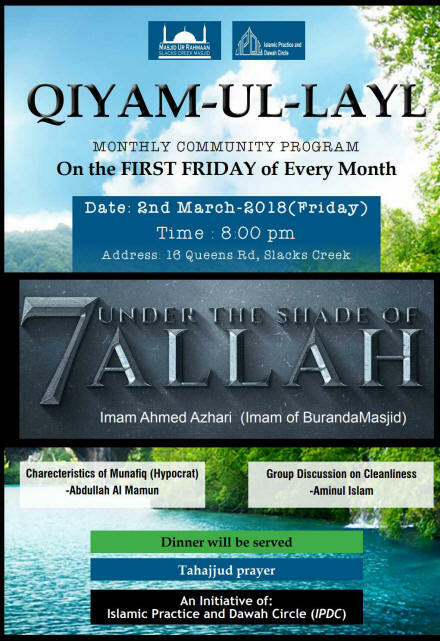 Professor Khan drew the attention of the audiences to Ten Commandments of the Bible and Verses 151-152 of Chapter 6 (Alanam) of the Qur�an almost mimicking one another to testify that both the books are from the same source, the Almighty God, Allah. 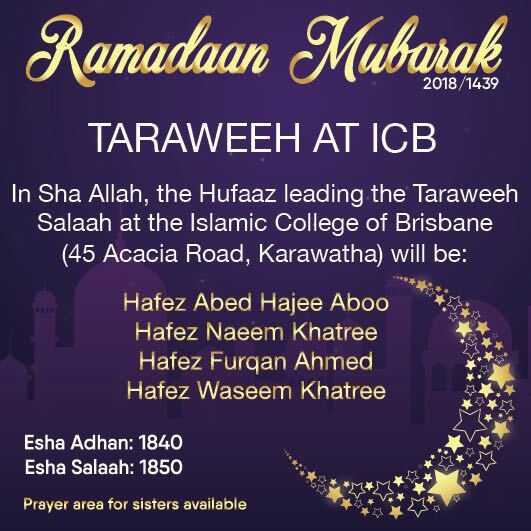 He also explained the situation around and after the burning of the Mosque in April 2015 and thanked Toowoomba Regional Council (TRC) for approving the new Development Application for the expansion of the burned Mosque building to include all essential facilities under one roof. The rebuilding of the burned Mosque is likely to start very soon pending signing of a contract with a builder and receiving Operation Work Permit from the Council. Hon Mayor of TRC, Cr Paul Antonio praised Muslim community for its contribution to the peace and harmony of the city. He emphasised that everyone other than the indigenous people are settlers or migrants, but each one brings strength to the community. He said that diversity is our strength and hence we must celebrate it like the event of the day. 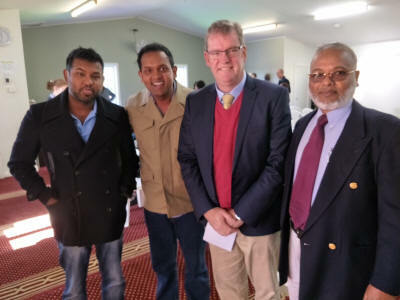 Dr John McVeigh MP, Member for Groom and Federal Minister for Regional Development, Territories and Local Government, and long-term friend of the Mosque community recollected his connection with the Muslim community and the important role they play in the city and the region. Hon Mr Chris Whiting MP, State Member for Bancroft representing Minister Stirling Hinchliffe of Multicultural Affairs Queensland delivered a message from the Minister including the commitment of the Government of provide fund for events like this that bring people of diverse faith and culture together. 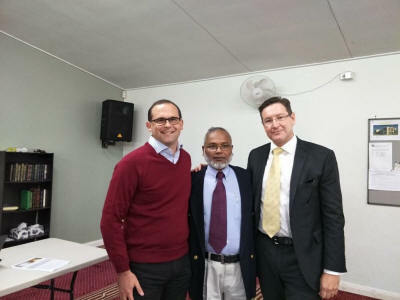 State Member for Toowoomba South, Hon Mr David Janetzki spoke on his study of Islamic Law as an elective subject at the University of Queensland and explained how Islamic law is a very much an evolving part of the religion of Islam. 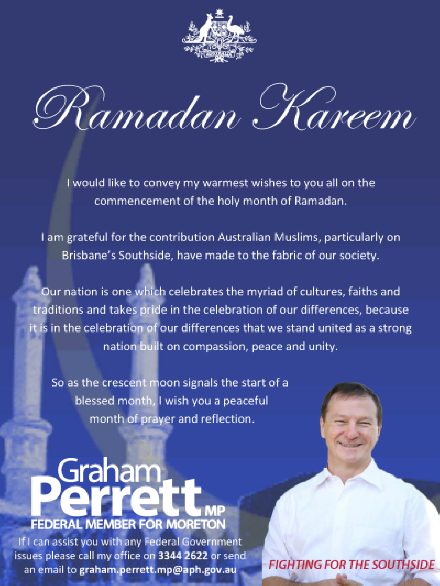 He also mentioned that in his maiden speech in the Queensland Parliament he acknowledged Toowoomba Islamic community and the Mosque. Mrs Dorothy Woodside of Toowoomba Inter-faith Working Group spoke about the beauty of diversity among flowers and asked how good would it look if all the flowers were the same. Catholic Bishop Robert McGuckin spoke on his efforts to promote peaceful co-existence among people of different faiths. He always found the Mosque to be a place of welcome. Anglican Bishop Cameron Venables reminded the division within and between religions and asked everyone to learn from the mistakes to be better. 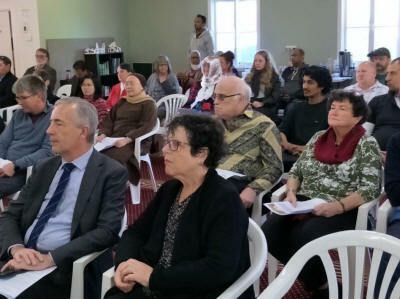 Dr Mark Copland shared the story of his long-term relationship with Muslims dating back to mid nineties, and the hospitality that he and members of his church have received from the Islamic people. Imam Abdul Kader of Garden City Mosque shared his experience with the neighbours who have always supported the Mosque community. He also answered different questions from the audience. 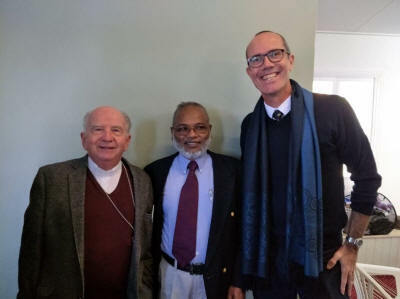 Among other dignitaries Mr Wayne Briscoe, Executive Director of Multicultural Affairs Queensland and Mr Stephen Wanyonyi, Multifaith Coordinator at USQ Chaplaincy were also present in the event. Delicious food from different parts of the world is always an attraction for this event. 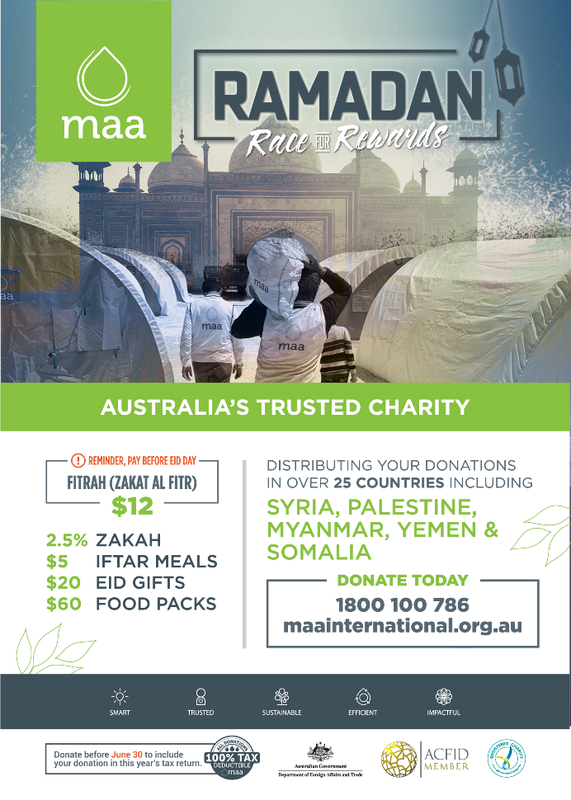 This year the Muslim community offered food from many countries of the world including Afghanistan, Bangladesh, Egypt, Eretria, India, Indonesia, Iraq, Libya, Malaysia, Pakistan, Somalia, Sri Lanka, Sudan and Turkey. The children thoroughly enjoyed the entertainment of police display and glued to the jumping castle all the time. The women volunteers provided the visiting ladies an opportunity to decorate themselves with hena and other traditional beautification crafts. Dr Mainul Islam, the Coordinator of the event, thanked all the participants and guests, especially the families and volunteers who worked hard to make this event a success. "What are you racing towards this Ramadan?" 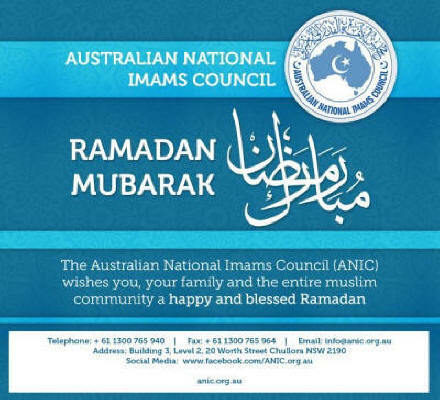 I take this opportunity to wish all your readers, my Muslim friends and neighbours, and indeed the broader Muslim community, sincere greetings for this Holy month of Ramadan. 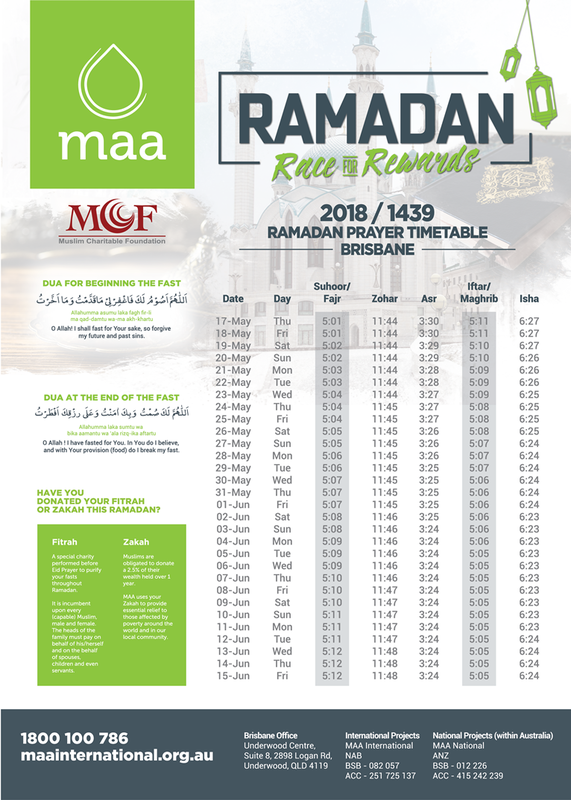 With my close association with Muslims going back to the 1980s, I fully understand the significance of the meaning of Ramadan. 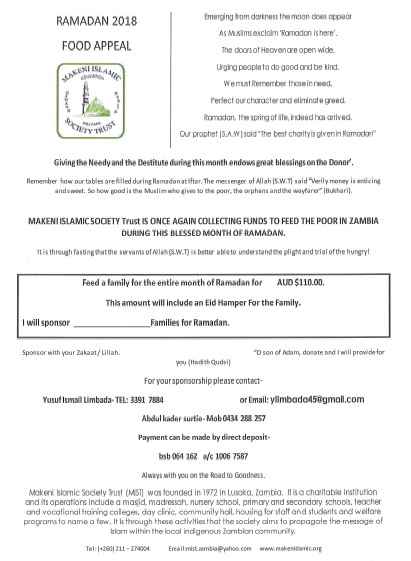 I also hold dear, the numerous kind invites I have received to once again share an Iftar as you break your fast � a very generous act of kindness and inclusiveness. 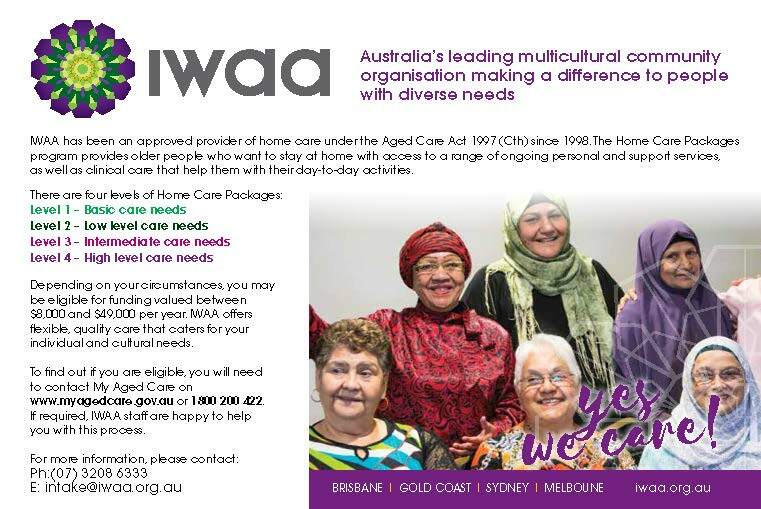 Ethnic Communities Council of Qld (ECCQ) and the Islamic Women�s Association of Australia (IWAA) celebrated successful completion of the Community Leadership Program. 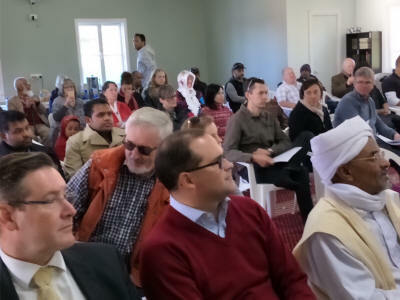 A well-attended event by approximately 70 people, including the graduates and their families, the Hon Michael de Brenni, Member for Springwood and Minister for Housing and Public Works, Minister for Digital Technology and Minister for Sport, ECCQ CEO Garry Page, ECCQ Community Leadership Program Manager Rose Brown and CAMS State-wide Coordinators Dr Nora Amath and Muna Ibrahim. Overall, the program consisted of eight workshops with diverse range of topics such as volunteering, mental health and self-care, conflict resolution, parenting between cultures, legal rights and politics, financial wellbeing and storytelling. The program also included excursions to the Queensland Parliament House and a storytelling camp over a weekend in Maroochydore. During the graduation ceremony Minister de Brenni told the attendees that great emphasis need to be placed upon active listening, having vision, being honest, knowing when to ask for help and owning up to mistakes as these are important skills for becoming successful leaders of the future. Mr Page, Ms Brown and IWAA Settlement Services Officer Beengul Ali also addressed attendees, talked about their own experiences and congratulated the participants. 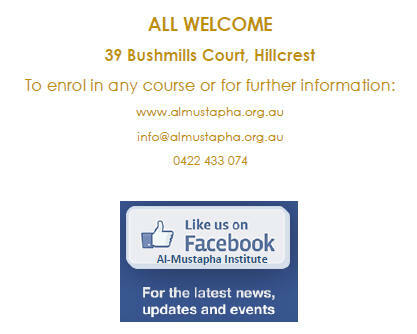 �With pride, I would like to acknowledge your commitment and dedication to this course, and your enthusiasm and perseverance in breaking barriers such as language, access to services, education and employment,� said Ms Ali. Mr Page said a key outcome of this program is for participants to make changes in themselves and then in their communities. 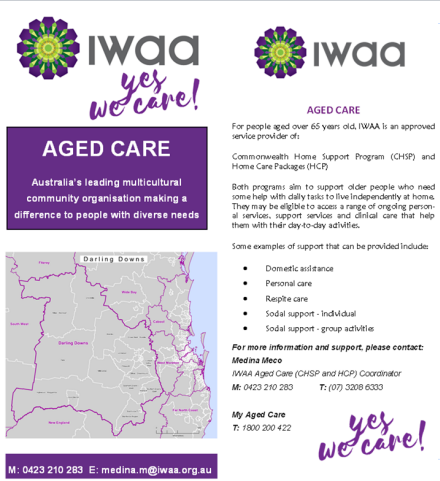 Mr Page also acknowledged the previous shared project between ECCQ and IWAA and touched on the importance of collaborative framework and the additional benefits it brings to service providers. IWAA clients shared their stories and expressed their gratitude; one of the graduates Ebtesam Chniker who recently arrived from Syria said the program, particularly the storytelling camp allowed her to find peace within herself. 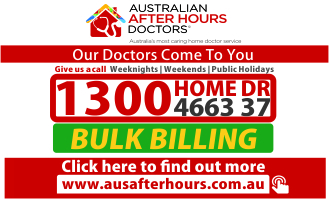 In furtherance, she said �Thank you Australian Government for giving us this opportunity to start a new life in Australia�. In response, the Minister welcomed her and all the attendees and further cited the importance of diversity and Multiculturalism. 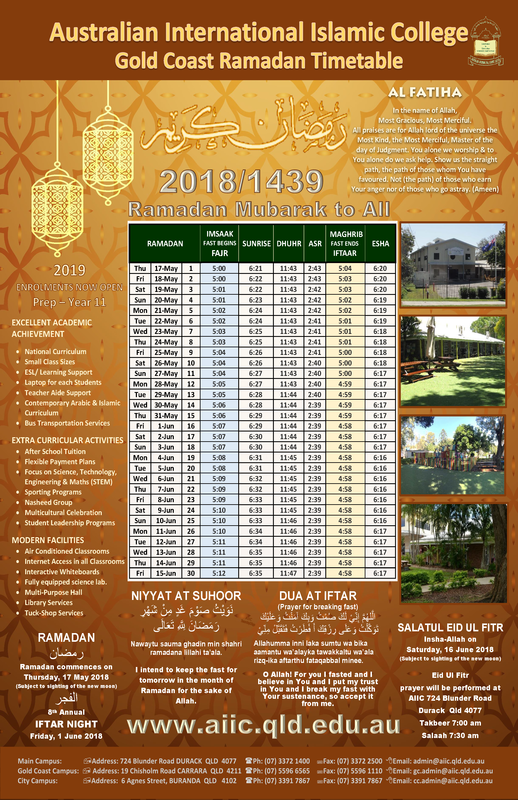 � A publication on �how to calculate your zakah in Australia� � 2018 edition. This edition has received a major update compared to prior editions. 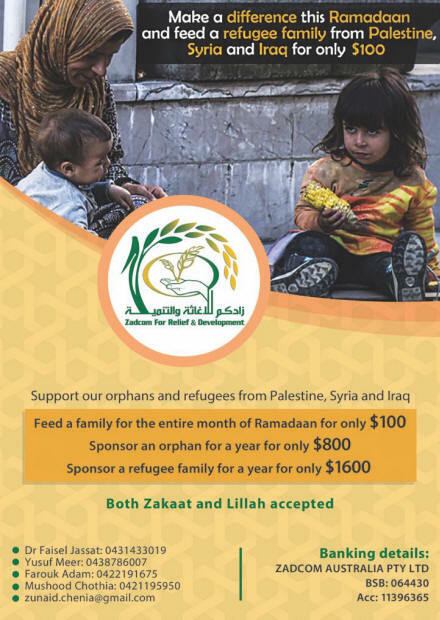 The book includes numerous examples to illustrate and simplify the calculation of zakah. Manual and excel-based calculators have been developed as a companion to the book. The calculators mirror the book format and are relatively easy to complete. For the excel calculator, you will need to unprotect the worksheet if you are using Excel versions 2010 to 2016. 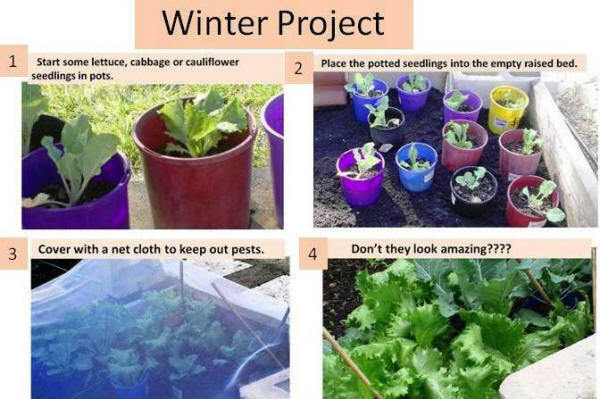 Please follow the initiation prompts to unlock the worksheet. If you have earlier versions of excel all you need to do is �enable content�. 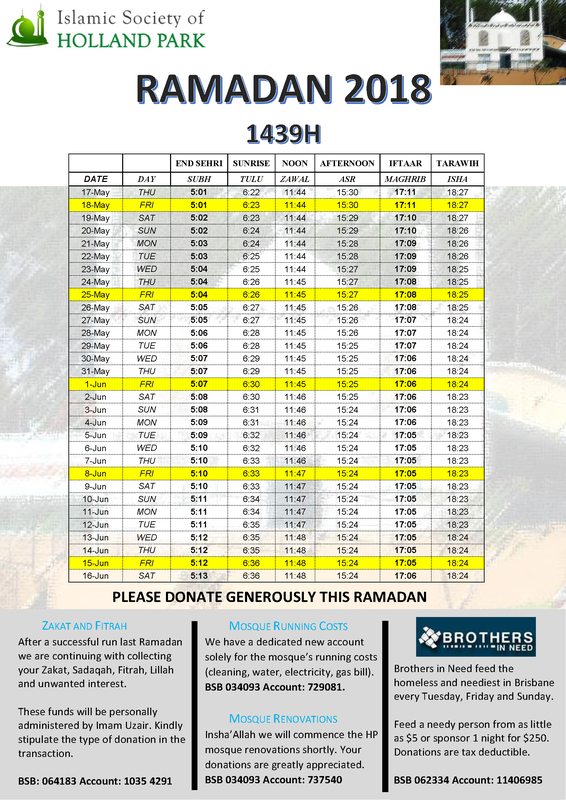 Reference should be made to the zakah publication when unsure what values to use in the calculator. Please contact Rashaad Lambat if you have any queries on the mechanics of the workbook on lambat.trust@bigpond.com. 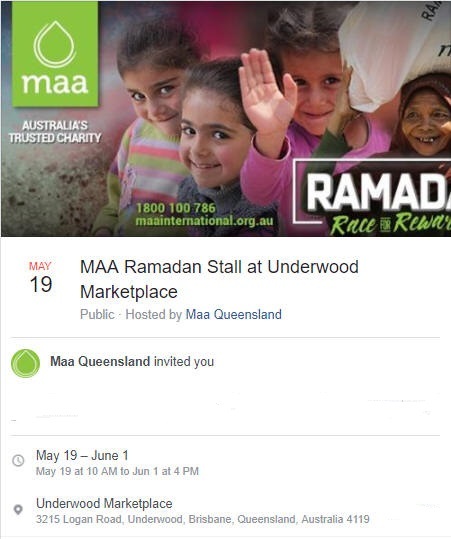 Iqbal Lambat of Brisbane is also willing to take questions via his email iqballambat@bigpond.com. 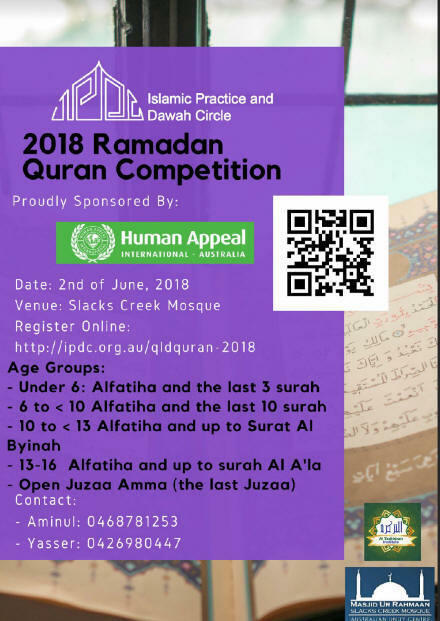 The Australian International Islamic College (Gold Coast Campus) held its 9th Annual Qur�an Recitation Competition 2018 at AIIC�s multipurpose hall on Thursday May 3rd 2018 for the junior and high school students. A total of 142 students participated in the competition under the following categories: Prep, Years 1-7, and Years 8-10. The Qur�an Recitation Competition was an inspiration to parents and visitors provided alike. Feedback regarding the competition from the community was overwhelmingly positive. 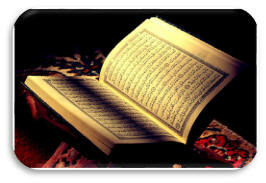 The atmosphere generated by the competition ensured a productive means of reciting the Qur�an. Parents were treated with tea, coffee and light refreshments. The judges of the competition were; Moulana Akram Buksh and Hafiz Abu Baker. The judges were impressed with the participants and their achievements and advised our students about the ways to improve their recitation. 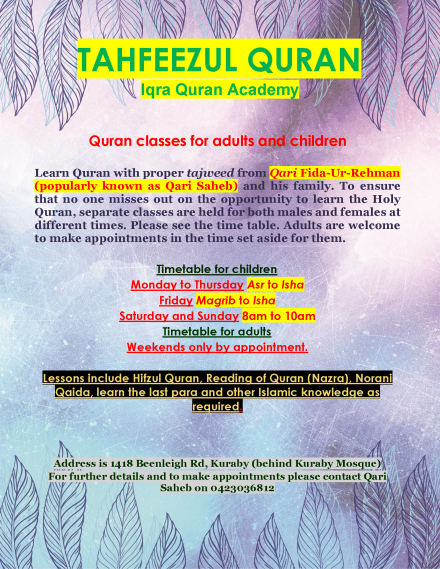 They encouraged students to recite the Qur�an with Tajweed and to recite each letter precisely from its source of origin in order not to change the meaning of the Qur�an. They also advised students to learn rules that are related to stopping whilst reading the Qur�an. 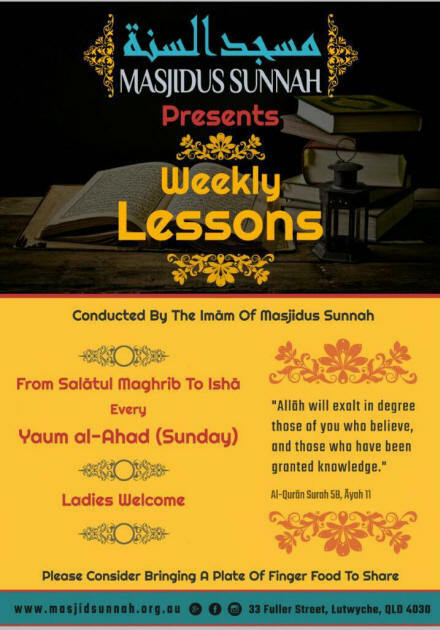 Students were also encouraged to memorize more from the holy Qur�an and to practice their memorization regularly. 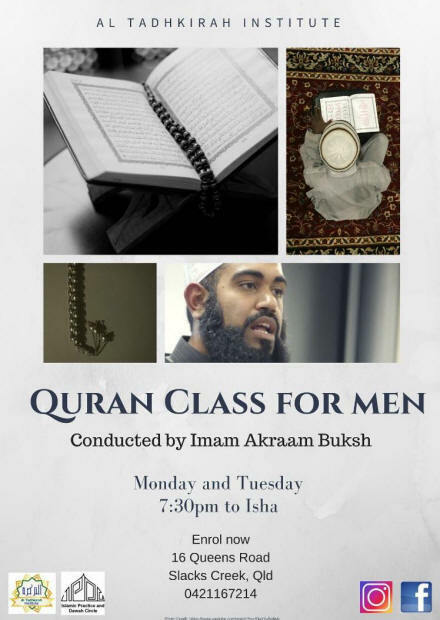 Moulana Akram told the students that recitation of memorized surahs in your Salah is the best way to avoid forgetting the Qur�an. 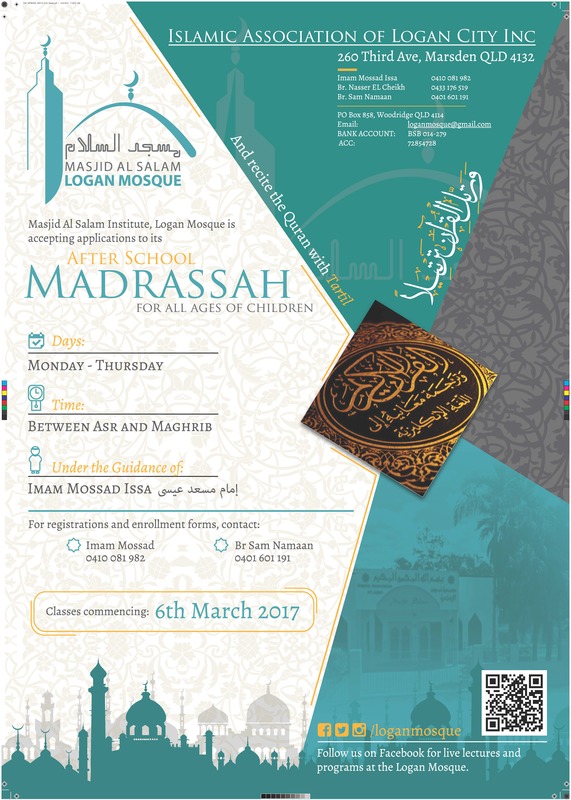 He encouraged parents to take the responsibility to ensure that their children are improving in their recitation by motivating them. He also congratulated parents for sending their children to be educated in the Islamic College and mentioned the immense reward that Allah has promised us for learning and reciting the holy Qur�an. 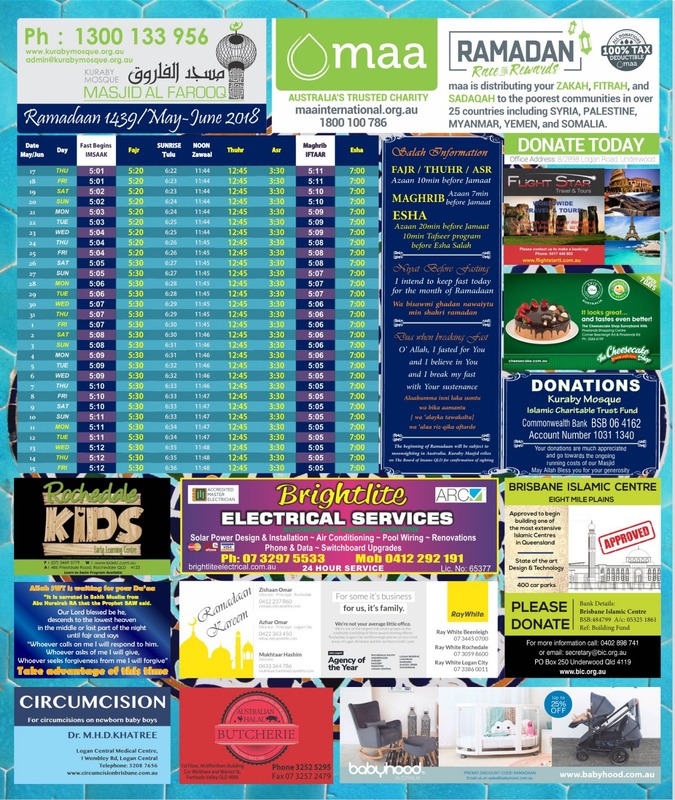 The Australian International Islamic College Gold Coast Campus would like to thank all the students for participating in this year�s Qur�an competition. We also would like to thank all the teachers, Imams and staff members of the College, for making this year�s Qur�an competition a success. May Allah accept all our efforts for his Deen and make us from the people of the Qur�an in this world and in the hereafter. This Sheikh tweets questions he gets about Islam�and it�s hilarious! A Shaykh in Florida by the name of Shaykh Azhar Nasser is currently winning at Twitter! Not too long ago he began tweeting the questions posed to him alongside responses to those questions. It�s probably worth stating at this point that if you don�t have a sense of humour, please read no further. His Twitter feed is a great reminder that religion doesn�t always have to be about punishment, hell and brimstone and that sometimes we need to take a moment to stop and actually have some fun! 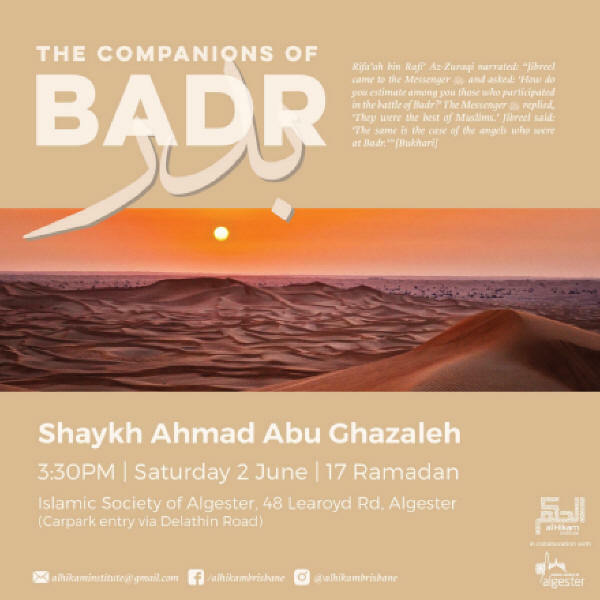 I�m not entirely sure what the straw was that broke the camel�s back, so to speak, but the Shaykh isn�t holding back anymore. Ask him questions at your peril! "This is not just an attack on Copts, this is an attack on me and you and all Egyptians, on Egypt and its history and its symbols, by terrorists who know no God, no patriotism, and no humanity". 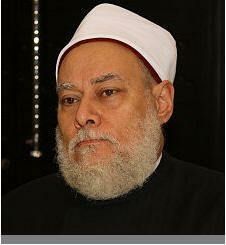 Sheikh Ali Goma�a is the former Grand Mufti of the Arab Republic of Egypt. He is one of the foremost Islamic scholars in the world. Despite retiring from the post of Grand Mufti of Egypt, Goma�a has remained active on many fronts and his counsel is more in demand than ever before. Egypt�s Weight in Islamic Scholarship: Goma�a�s scholarly influence is derived from his position at the centre of many of the most significant institutions of Islamic law in the world. Before becoming Grand Mufti, Goma�a was a professor of jurisprudence at Al-Azhar University�the second oldest university in the world, founded in 975 CE�Goma�a also served as a member of the Fatwa Council. He is currently a member of the International Islamic Fiqh Academy, the highest institute of Islamic law in the Organization of the Islamic Conference�an intergovernmental organization for Muslim-majority countries. Goma�a has authored over 50 books, as well as hundreds of articles. Visit to the Holy Al-Aqsa Mosque Controversy: On April 18th, 2012, Sheikh Ali Goma�a, with HRH Prince Ghazi of Jordan, broke what had been a 45 year taboo in some parts of the Islamic World (propagated notably by Qatar based Sheikh Al-Qaradawi) and visited the Al-Aqsa Mosque in order to pray there and support the beleaguered Muslim community in Jerusalem. The visit was viewed as controversial in Egypt, but set off a change of public opinion in the Islamic World that continues to this day. The Grand Mufti also visited the Church of the Holy Sepulcher, which was much appreciated by the Christian community of Jerusalem. Personal Popularity: Goma�a was exceedingly popular as a mufti and remains ever popular since his retirement. Apart from appearing on popular broadcast and satellite television, he also revived the practice of informal �knowledge circles� at the Al-Azhar Mosque, and the very well attended Q&A sessions after his Friday sermons at the Sultan Hasan Mosque, where Goma�a makes a point of taking on anyone who tries to simplify or distort Islamic teachings without knowledge of its traditions. This has made him extremely popular with those who are against extremism, as well as also making him a target for the extremists. 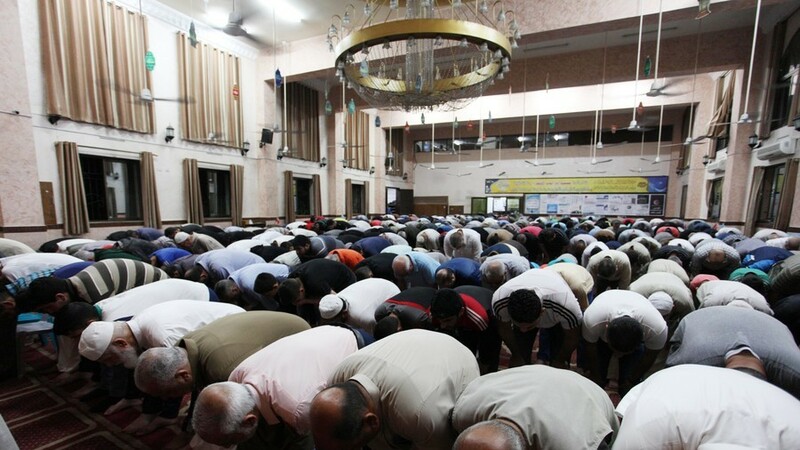 He recently escaped an assassination attempt on his life outside a mosque in Cairo. Popularized and Simplified Fatwas: Goma�a has immense legal influence through his advocacy of Islamic religious edicts (fatwas). When he was Grand Mufti of Egypt, he modernized the process of issuing fatwas in the country. He did this by overhauling the Dar Al-Ifta organization into a dynamic institution with worldwide reach, based on a fatwa council and a system of checks and balances. 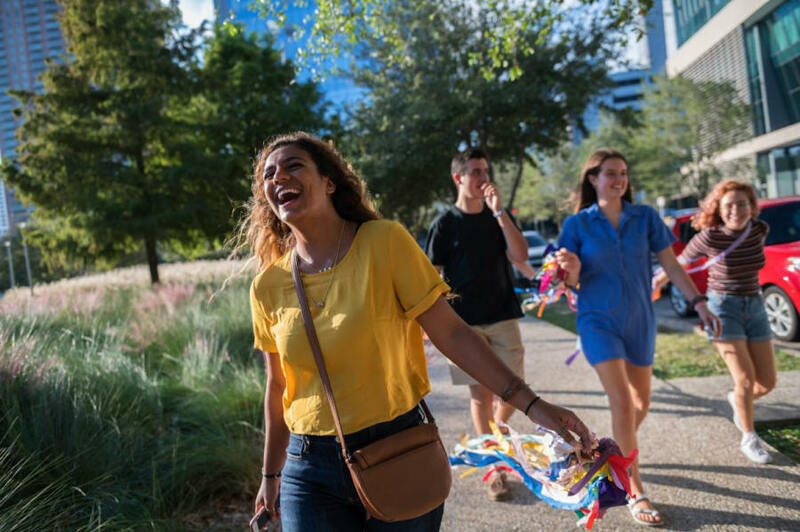 Hannah Ajrami, a student at University of Houston, laughs with her friends on her college campus. Lynsey Addario talks about her experience working within these communities across the U.S. during a years-long reporting project. When Lynsey Addario moved to India in 2000 and began covering Muslim communities throughout Asia, she was introduced to nuanced views of Islam and the people who practice it. After returning home to visit the U.S., she saw the religion portrayed in a generic, one-dimensional way that didn't capture what she viewed elsewhere in the world. That disparity pushed her to work with Muslim communities across America in an effort to tell their stories in a broader way. Addario�s images appear in the feature story �How Muslims, Often Misunderstood, Are Thriving in America,� published in the May 2018 issue of National Geographic magazine. She talked with us about her experience documenting these communities and how it has encouraged her to examine her own faith. JILLANI: In journalism, one will inevitably have to cover communities that one is not a part of. But I doubt that it is always an easy or comfortable experience. How do you navigate that line between being both respectful and inquisitive? ADDARIO: I have always believed that it is important to be inquisitive, to ask questions, to educate oneself about the unknown. I think so much hatred and misunderstanding stems from ignorance and arrogance, and that is a shame. Yes, I felt strange as a non-Muslim, shooting this comprehensive piece on Islam�but I don�t feign to know what I don�t know. I just shoot what I see, and what I believe is a fair representation of a story. Imam Zaid Shakir converted to Islam while serving in the Air Force, after years of living in rough inner-city neighbourhoods. Later, Shakir co-founded Islamic centres in Connecticut, where he joined with other community leaders in serving areas plagued by drugs and violence. In 2009, Shakir co-founded Zaytuna College, and in 2016 he conducted the funeral services for one of his heroes: the late boxer Muhammad Ali. 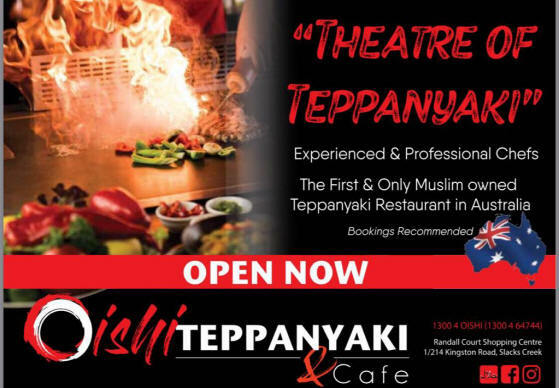 The lives, ambitions, and beliefs of more than 40 members of Brisbane's Muslim community have been put under the spotlight in a new project aimed at dispelling misconceptions about Islam and its followers. Award-winning documentary photographer Matt Palmer interviewed and photographed 41 Muslims living in the Queensland capital for his online project, Faces of Islam. "Al-hoyam" refers to madness and insanity caused by excessive love. So basically, this is when lovers lose all sense of reason and go absolutely nuts. 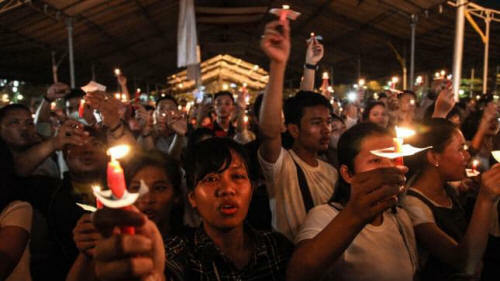 A candlelight vigil support the victims and their relatives of a series attacks at churches in Surabaya, East Java. 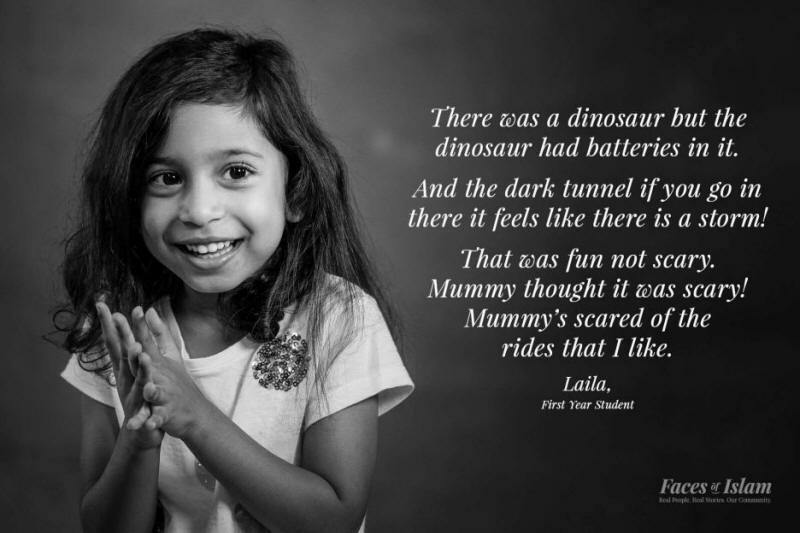 When parents blow up their children along with themselves in suicide bombings aimed at killing and maiming strangers we can be forgiven for struggling to express the pitch perfect response. In a normal mind, to a civilised person, these obscenities are too difficult to fathom; they represent the very antithesis not just of our higher ideals but of every instinct influencing our daily lives. Talk of this being a new level of depravity is understandable but exaggerated � we have seen Islamist terrorists use women and children before and they certainly haven�t baulked at killing the children of strangers. With guns, bombs, knives, trucks, planes and cars, they will dismember whatever human target they choose. There is no lower place to sink. For political and security authorities, however, it is not enough to weep or express anger, sadness, horror or despair. 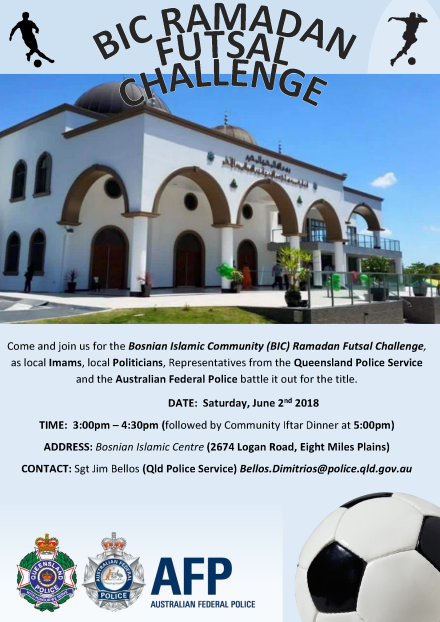 Their first duty it to tackle the threat, keep us safe and try to encourage public behaviour and sentiment that might assist those ends and maintain cohesion. 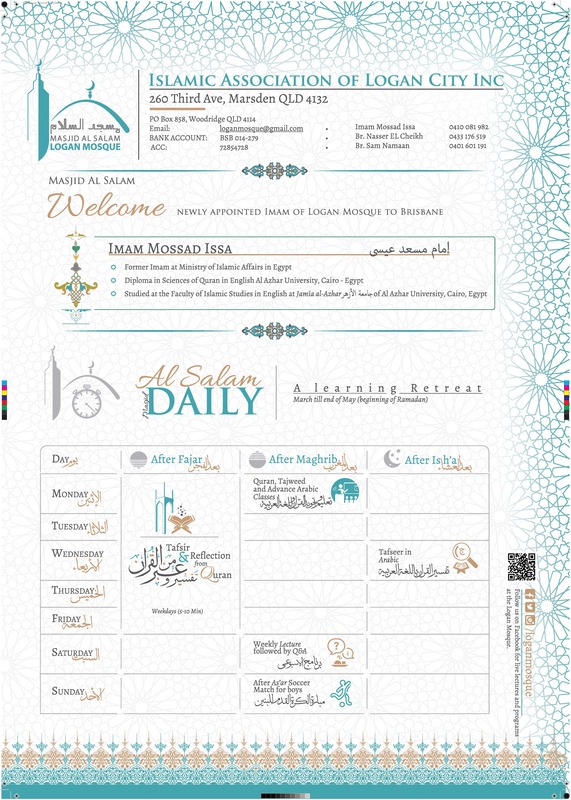 So their responses to the religious extremism that motivates these terrorist attacks usually follows two scripted options: one is to ignore or deny the Islamist genesis of attacks, at least in the early stages when emotions run high; the other is to describe the attacks as an affront to Islam, a distortion of one of the world�s great faiths and an assault against all those moderate Muslims who condemn such murderous attacks. The three-minute ad features an Arab child addressing leaders of powerful countries including U.S. President Donald Trump, Germany�s Angela Merkel, Russia�s Vladimir Putin and the North Korean leader Kim Jong-un. The commercial ad reminds the world Jerusalem is the capital of Palestine. Canadian PM Justin Trudeau also appears. After surviving a horrific hate crime, this Muslim-American fought to save his attackers life. Living Muslim LIVE with Hoblos and Stuzz! 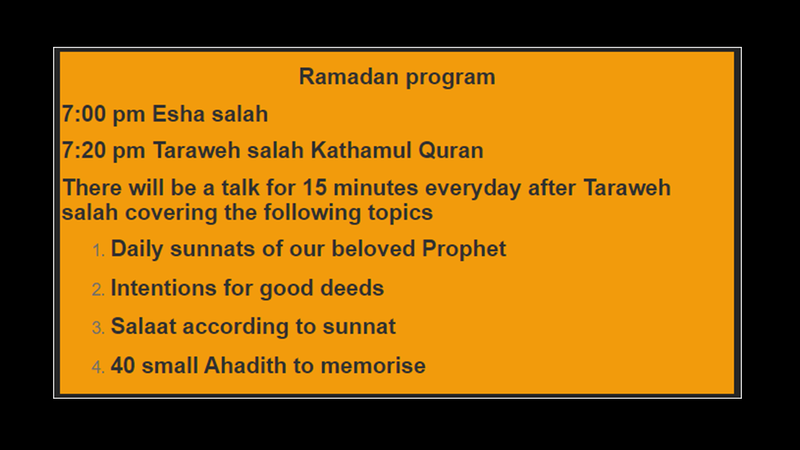 TOPIC: "The Bounties of Ramadan"
TOPIC: "Who Are Losers & Winners in Ramadaan?" TOPIC: "RAMDAN the Great Opportunity, Seize it"
After three years of meetings and lobbying finally ICQ has been given an approval to conduct a pilot prison chaplaincy program. There are currently 165 prisoners (1 female rest males) who identify as Muslims. Our religious visitors had access but this was quite limited and restricted except in Ramadan last year when we were allowed to send Imams to lead Friday prayers. 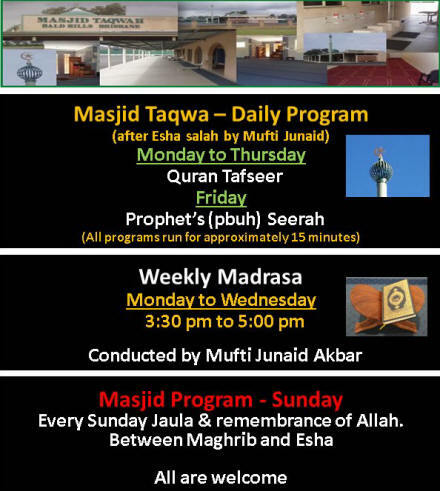 Similarly this Ramadan as well ICQ prison chaplains will be visiting following prisons to conduct Friday prayers. Full access pilot program will allow our religious visitors to conduct group sessions including prayers. 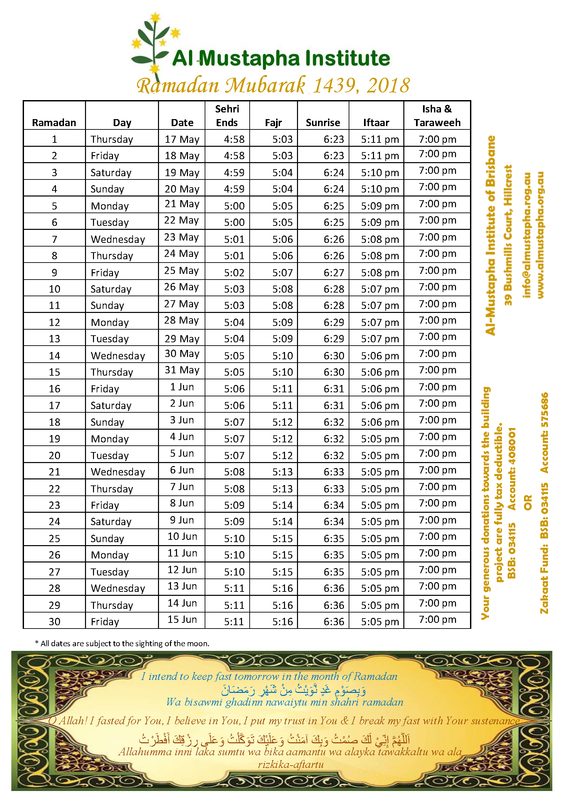 This is something which is commonly allowed for Non-Muslim chaplains for years. 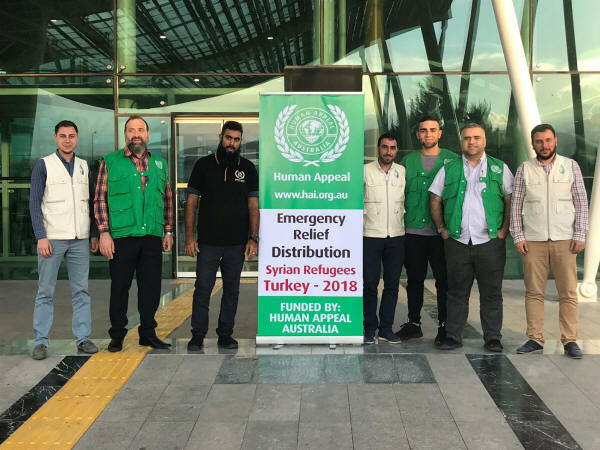 ICQ staff brother Hamza (Robbie) Maestracci has been working on this tirelessly along with volunteers like Brother Waseem Hassoneh, Maulana Luqman Najib and Imam Abdul Raheem. Between them these brothers have conducted over 350 unpaid visits to prisoners changing many lives in the process. BERLIN � Muslims around the world have taken issue with the flagrant disregard of a German firm, which used the Saudi Arabian flag with the �Kalimat Al-Tawheed� on the cap of its beer bottle, and have bombarded the social media about this irreverent act. The Saudi Embassy in Berlin has also denounced the German company and has issued a statement saying it acted after being alerted of the issue through the social media, in which the news had become viral. The picture of the disrespectful act by the company was circulating in the social media with the bottle�s cap shown with the Saudi flag. 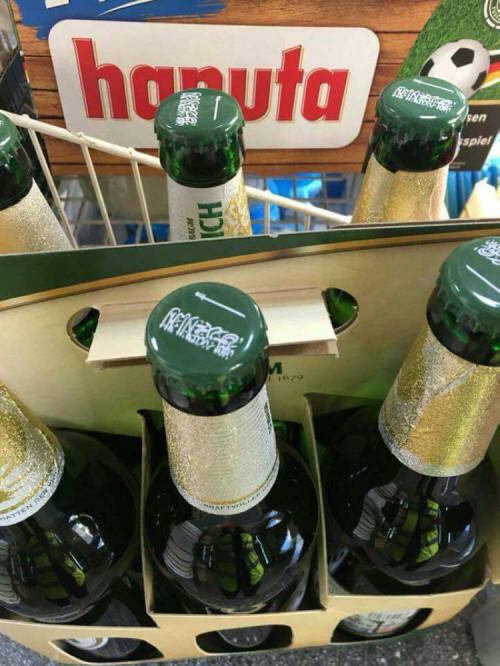 The German firm �Eichbaum�, located in Mannheim city, published the flag of the Kingdom of Saudi Arabia on the caps of one of its liquor products and triggered a firestorm of condemnation in Twitter. Most of the tweets railed against the company for hurting Muslims� sentiments and sought the withdrawal of this product. Nearly every tweet ended with them commanding the company to tender an apology. As the debate raged in the social media, the Saudi Embassy in its statement said that it immediately contacted the German authorities concerned and expressed its rejection and denunciation of this act by the company for placing the Kingdom�s flag, which bears �Kalimat Al-Tawheed� that �There is no God but Allah and Muhammad is His Prophet�. By doing this, the German company is desecrating �Kalimat Al-Tawheed� and is disrespecting the Saudi flag while sparking a provocation of Muslims� feelings. The embassy said it is in contact with the German Foreign Ministry and other authorities concerned to stop the product, withdraw it from the markets and get an apology for the company�s act. A Muslim and a Hindu thought they could be a couple. Then came the �love jihad� hit list. 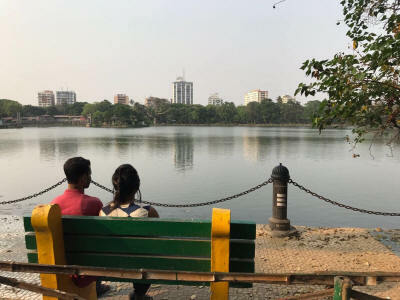 Ramiz and Lisa, who asked that their last names not be used because of a Facebook threat against Muslim and Hindu couples in India, are an interfaith couple in India�s eastern city of Kolkata. KOLKATA, India � The 21-year-old Hindu college student was having a quiet breakfast with her mother when her phone pinged with a terrifying message. Her name was on a hit list. She and her Muslim boyfriend had been targeted publicly on Facebook along with about 100 interfaith couples � each of them Muslim men and their Hindu girlfriends. She immediately called her boyfriend to warn him. The Facebook post included instructions: �This is a list of girls who have become victims of love jihad. We urge all Hindu lions to find and hunt down all the men mentioned here.� At least two followers heeded the call. The phrase �love jihad� is meant to inflame dark fears that Muslim men who woo Hindu women might be trying to convert them to Islam � a prejudice that the Hindu right has tried to stoke for nearly a decade. But use of the term has spread on social media with the rise of the Hindu nationalist party of Prime Minister Narendra Modi, at a time when religious hatred is growing on Facebook in India, its largest market. 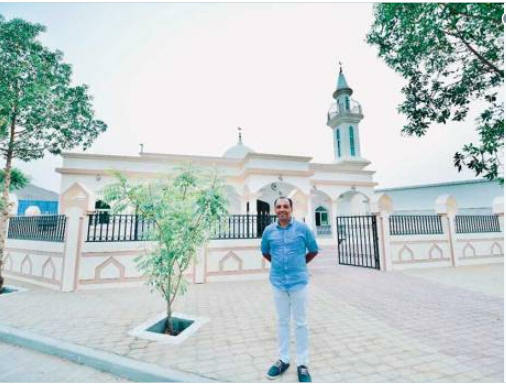 UAE: A Christian businessman based in the UAE has built a mosque so that Muslim workers, he rents accommodation to, don�t have to travel to worship. Indian national Saji Cheriyan arrived in the gulf state with only a few hundred dirhams to his name in 2003. He built his business over the past 15 years and when he noticed that the workers had to take taxis to the nearest mosque, he decided to build one for them. 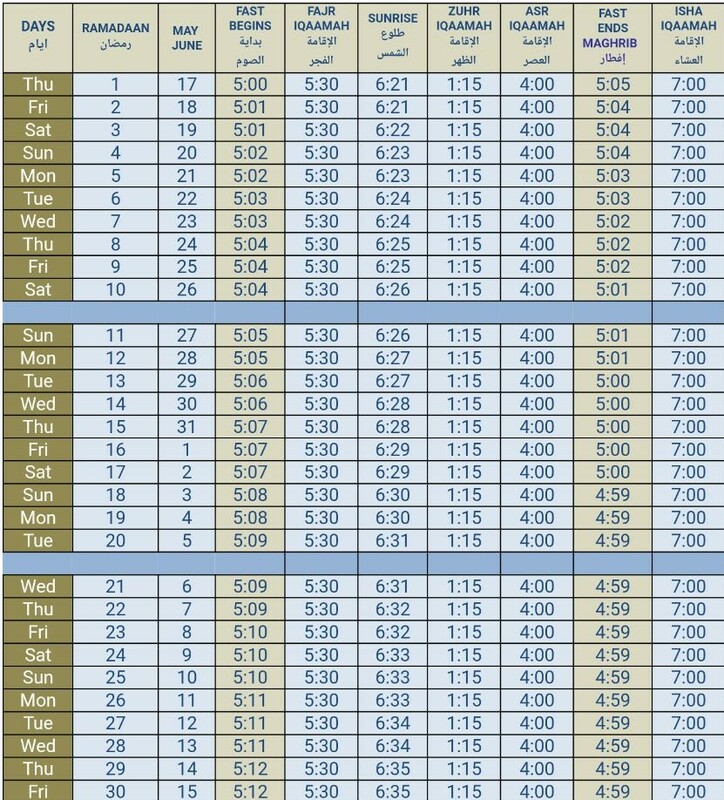 �They have to spend at least Dh20 ($5.44) to go to Fujairah city or another industrial area to attend the Juma prayer in a mosque. So, I thought it will make them happy if I build a mosque here next to their accommodation,� Cheriyan told Gulf News. The mosque in the Fujairah emirate was built for 1.3 million dirham ($354,000) and has room for 250 worshipers at a time. 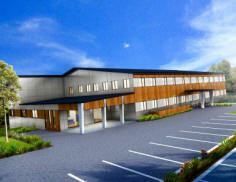 The shaded courtyard can also accommodate an additional 700 people. The construction work started more than a year ago and the mosque has finally been completed, just as Ramadan got underway. �When word spread about my mosque, many other people also offered cash donations, construction materials like sand and paint. But I have politely refused all those offers as I would like to pay from my pocket for this mosque,� Cheriyan said. The businessman, who has an estimated net worth of nearly $18 million, said that he�s settled on the name Mariam, Umm Eisa (Mary, the Mother of Jesus) in honour of a mosque of the same name in Abu Dhabi. 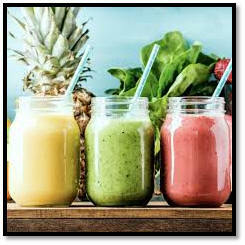 KB says: A smoothie can be healthy, filling and nutritious especially at Sehri time giving you a great start to your day. Several years ago, when I was in the process of analysing my behavioural patterns to make sense of my life, I realised that the reason I was stuck for a decade in a marriage that was violent was that I was putting all my energy into trying to change someone else (the man I was married to at the time). Never once did I reflect on my own thoughts, words, actions and patterns to understand that that man was not the maker and destroyer of my happiness...I was, through my own choices and through my resistance to submitting to ALLAH. Mind you, at the time I wasn�t Muslim so I didn�t quite understand what submission to my creator meant. Trying to change someone else always backfires because there is this sense of control that we assume over another. There is never harmony in a home where there are people trying to control others. It�s an oppressive nature to control. How many times have you heard people say �I�ve tried everything to make him/her change but they just won�t listen�? Well, the key is to become the change yourself. Changing yourself will require you to respect and understand and love yourself. Playing victim is not the solution. Placing blame on another keeps you stuck in your self-imposed prison. You can walk out of this prison by changing your mindset from blame to responsibility. Stop blaming, start taking responsibility of your own thoughts, words and deeds. Once I realised my own patterns, I was aware of what I deserved in life. The moment I became aware of my self-worth, I realised that what I thought I deserved was false and based on fears and insecurities, such as, if I leave him, who will marry me? Who will ever love me? I can�t have a failed marriage. All these dark, fearful thoughts shackled me into believing that the circumstances I was living in was what I truly deserved. It was only after realising that I am a pure soul temporarily dwelling in this body and that I had a purpose in my life that I gathered the courage to end the repetitive cycle of attracting, condoning, perpetuating and justifying violence in my life. Be honest when filling out this table. Be willing to change. Be willing to learn from your patterns. Be willing to change your mindset from blame to responsibility. 1. 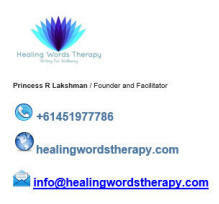 Identify what is hurting you, who is hurting you. 2. Identify why you feel you deserve to be hurt in that way. 3. Identify what behaviours about others affect you. 4. Identify what behaviours in you match those same behaviours you dislike in others. 5. 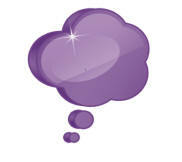 Identify what feelings of fear you have regarding your relationships, your job, your financial security. 6. What have you learnt from identifying your patterns so far? 7. What do you want to change about yourself? 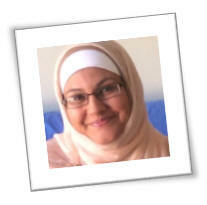 Q: Dear Kareema, what are some exercises I can do to shape, tone and strengthen my legs? A: Exercises such as lunges, squats, leg lifts, etc., are great to try for the results you�re after. Weight training and taking part in a cycle / spin class a few times a week would also see you getting stronger, fitter and toned faster. The easiest and cheapest option would be walking and jogging. Dear husband, what did you do for God so that he has sent you a fantastic wife like me. Jallalludin writes back: I was not praying, that�s why he punished me. 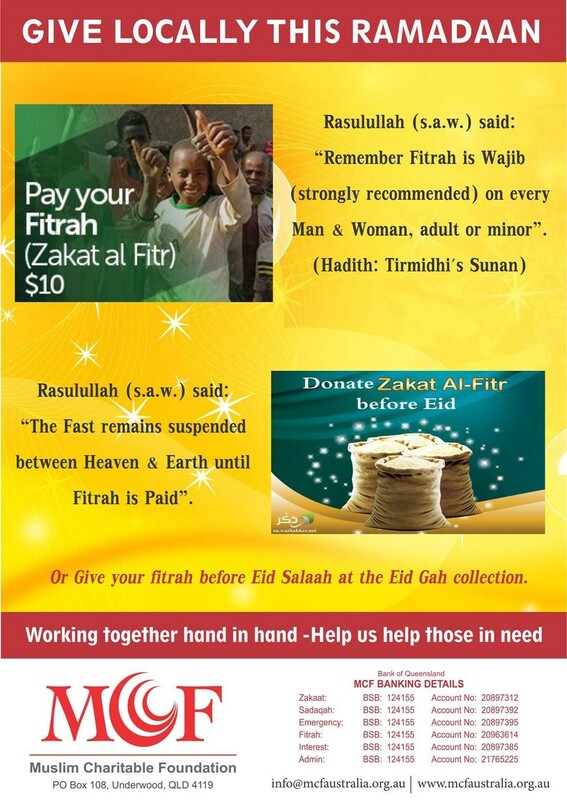 Those who observe the prayer, and pay the obligatory charity, and are certain of the Hereafter. In a collaborative attempt to build stronger bridges across faiths and non-faith communities, we are excited to invite you to a community Iftar dinner. A night to meet people from around the world, over a simple shared meal. 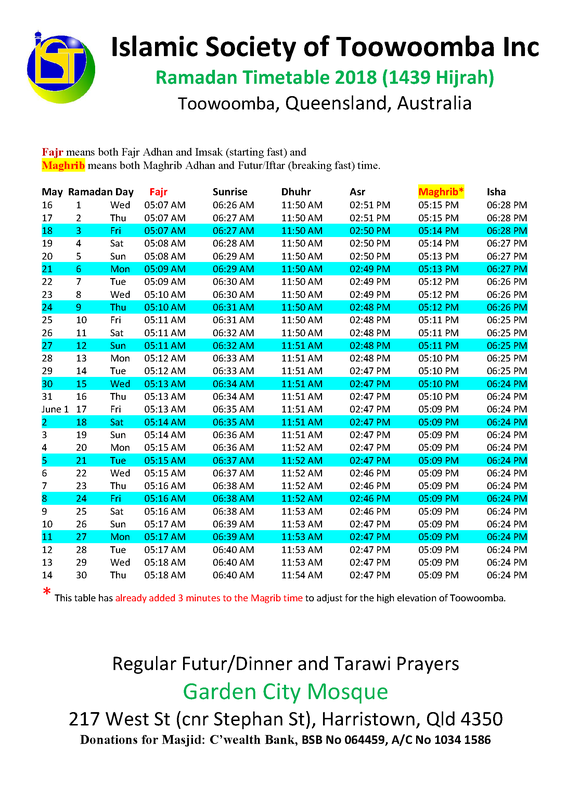 Iftar is the name for a community dinner held daily after sunset to mark the end of a day of fasting. 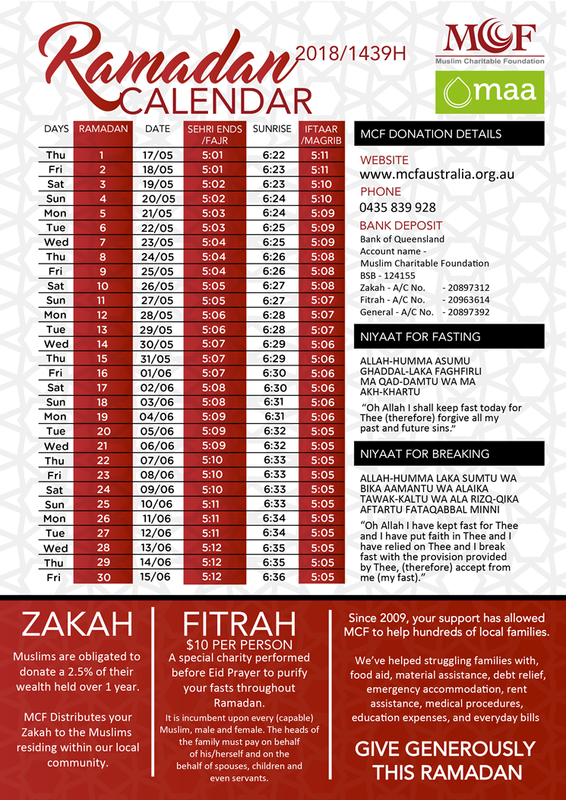 Ramadan, the ninth month in the Muslim calendar, is a special time for the Muslim community. 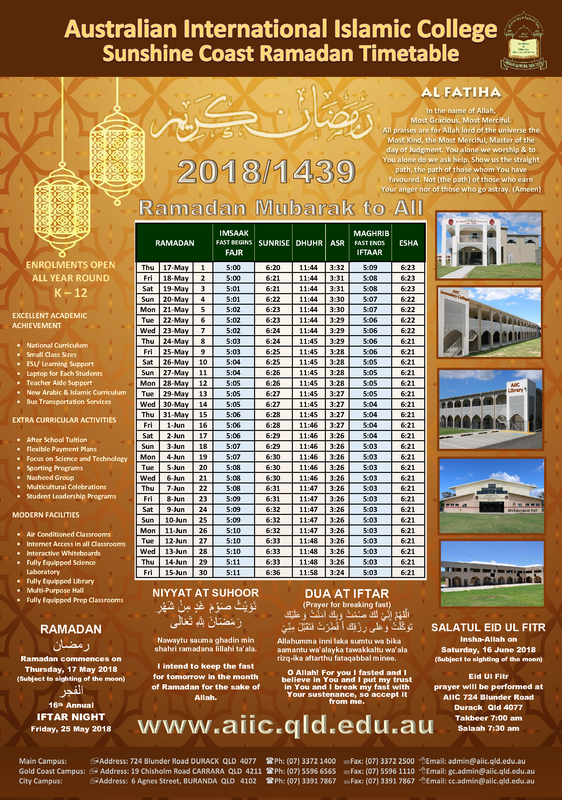 During the month of Ramadan, Muslims worldwide fast from dawn to sunset to achieve greater self-discipline, self-purification, and compassion for those less fortunate. 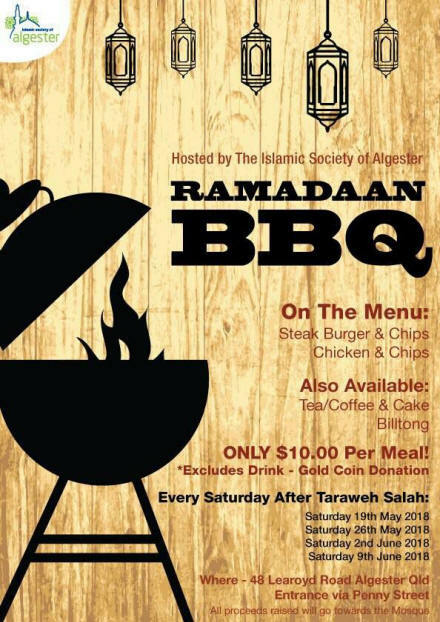 Join us to share a meal on Saturday 26 May at the Ashgrove Bowls Club. This event is open to people of all walks of life. 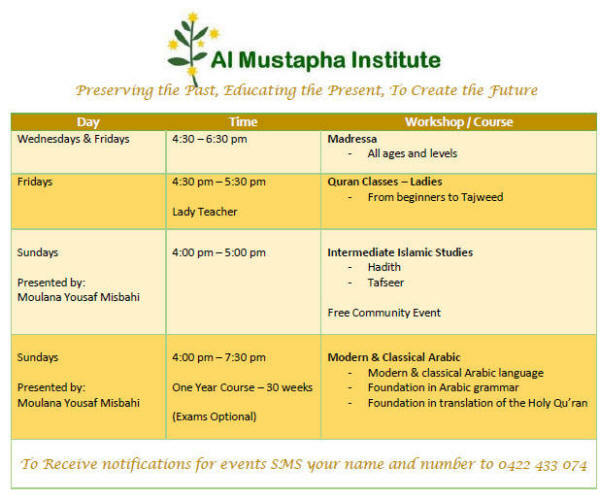 Everyone is welcome to come along, whatever your religion or cultural background. 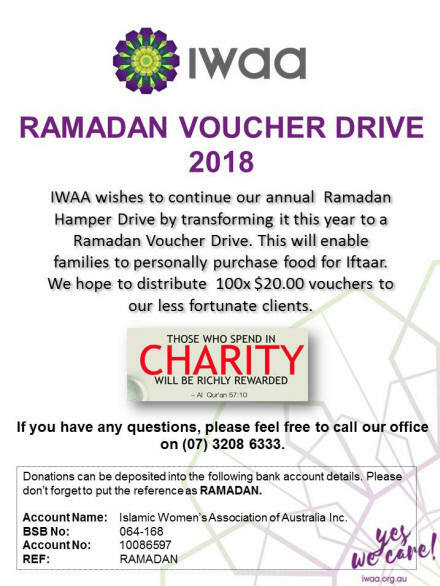 Any funds raised on the night will go to Refugees Welcome Australia (RWA) who help refugees and people seeking asylum by providing long-term and stable accommodation with local residents who have a spare room in their house or apartment. 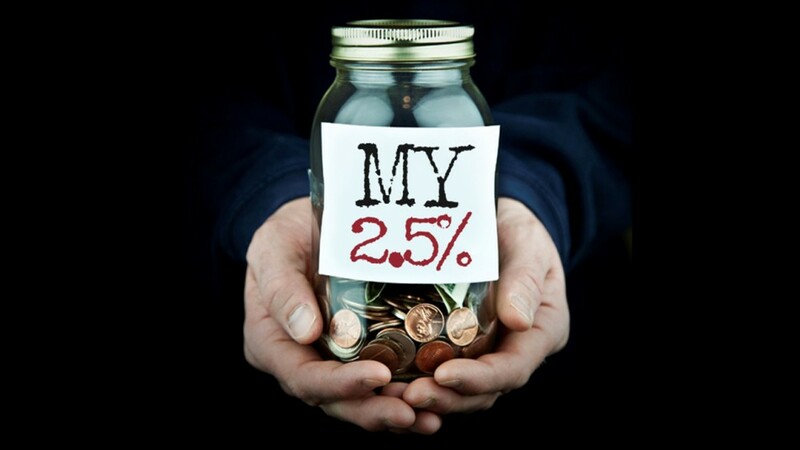 Doing so kickstarts a foundation of stability for the people RWA assist, and it enables their clients to re-start their lives - it allows them to focus their attention on looking for work, rather than worrying about where they will live and where they will get their next meal. Purchasing tickets online prior to the event will help us for catering purposes. Leave a comment or drop us a line on thegabba.ward@bcc.qld.gov.au or call the Gabba ward office on 3403 2165. 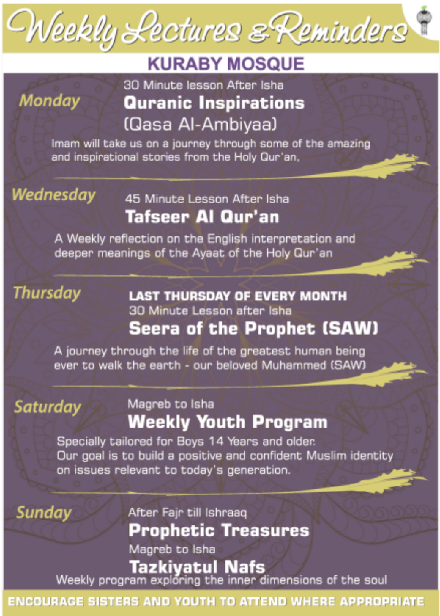 These are just some of the questions that Islamic Schooling Renewal � A Focus on Pedagogy will tackle over two conference days, as it examines pedagogy and Islamic schooling for Muslim students from a whole-of-life and whole-of-community perspective. With an impressive line-up of international and national speakers from specialist disciplines and diverse sectors, Islamic Schooling Renewal � A Focus on Pedagogy is sure to offer valuable and practical insights into the future of pedagogy in Islamic schooling in the West. The conference will critically explore pedagogy and Islamic schooling for Muslim students from a whole-of-life and whole-of-community perspective. 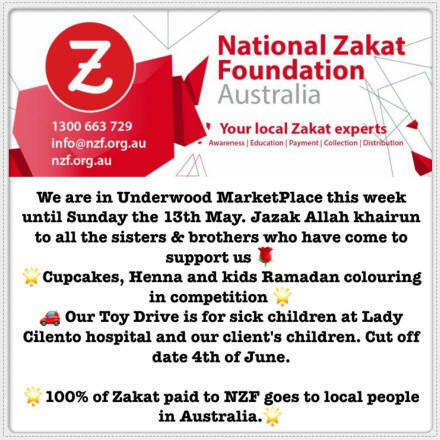 Support the NZF 2018 Eid toy drive you can donate money towards buying gifts or donate brand new Toys . 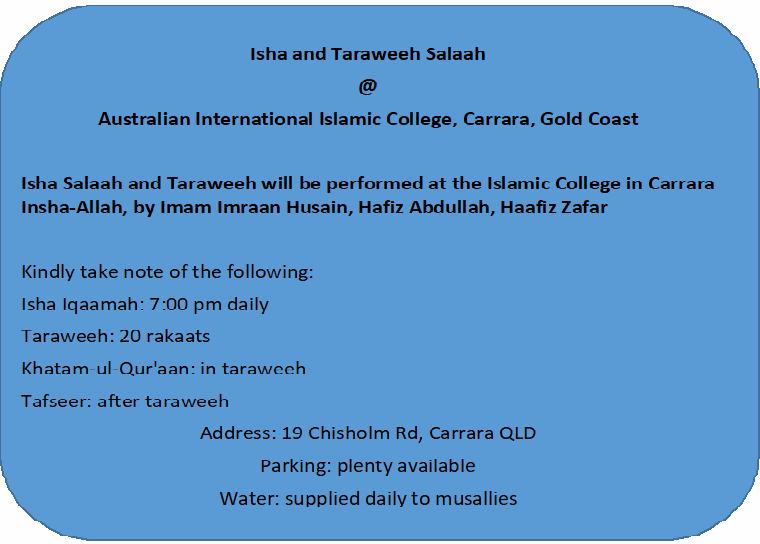 Please contact Amra on 0430589383 for more info and drop off details. 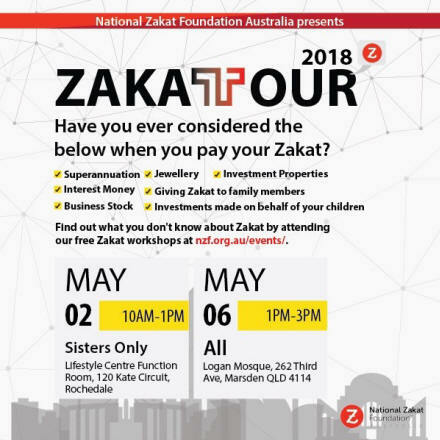 The National Zakat Foundation is a ground-breaking initiative which aims to utilise Zakat funds and voluntary donations collected in Australia for the benefit of local, deserving recipients. 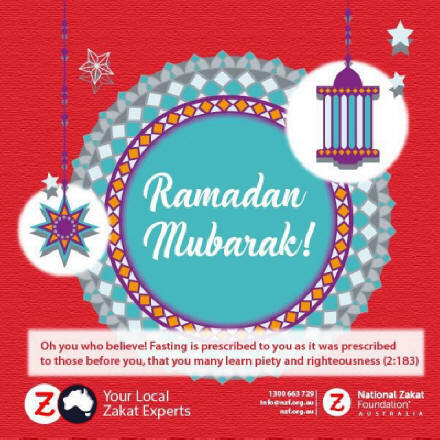 Our work covers five core areas that together form an end-to-end service for the Muslim community in Australia with respect to Zakat.